Are you the sort of person who wants to get healthier but doesn’t want to travel far? Recumbent exercise bikes appear to be all the rage nowadays. You might have seen these bikes before, either in a gym near you or in a tv show or movie! These exercise bikes are an essential piece of workout kit to own, especially if you are someone looking to better your cardiovascular fitness at times that suit you! We know what you’re thinking, you probably assume that these bikes are expensive and take up too much space. Well, you’d be right to an extent, but it’s never been more accessible right now to own one of these bikes of your own! In terms of size, all of these bikes come in varying sorts of sizes, so finding one that fits a space right for you is relatively simple! This article is catered towards all sorts of people out there, but mostly to those who have no idea on where to start looking or what to look out for when it comes to the best recumbent exercise bike. We hope that you find what you’re looking for! If you’re still left with questions once you’ve looked through our list, check out our buyer’s guide, it should more than answer your queries! Now, let’s get into it! Related: Recumbent bikes for seniors. Although this list is in an order of some kind, it does not then mean that it is how we rate each recumbent exercise bike outright! Our list is in no particular order, meaning you should assess each bike on its own merits, rather than say a point of comparison to some of the other bikes featured here! We’ve tried to offer some of the most diverse recumbent exercise bikes possible here to give you somewhat of a variety! We hope you find something to your liking! 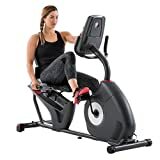 The first bike in our list here is one that comes to you from Schwinn, an exercise bike that comes outfitted with Bluetooth connectivity that connects to an app on your phone; perfect for keeping track of your fitness! This bike is not only comfortable but quite varied too, given the number of programs and profiles available at any given time. With handles attached to the screen and by either side of the bike, you’ll find that comfort is available in many different positions. Why We Liked It – There aren’t a lot of recumbent exercise bikes out there with an app that actively tracks your progress! A folding recumbent exercise bike with a lot of character and personality, that’s probably how we’d describe the next bike in our list here. Complete with a precision balanced flywheel and magnetic tension control system, you’ll find that not only is every push felt, but controlled also. The easy to read LCD display on this Exerpeutic 400XL Folding Bike shows your distance, calories, time and speed at all times! Why We Liked It – If you were looking for a non-intimidating recumbent exercise bike that comes with a helpful LCD display then this will be the bike for you! Looking to get the most out of your exercises? This Marcy Recumbent Exercise Bike ME-709 bike comes with 8 resistance levels, a battery-powered bike with a lot of power behind it! In terms of specifics, this seat is comfortable as well as supportive, allowing you to generate a lot of power despite sitting stationary. The user-friendly bike computer that’s mounted on this bike is also pretty handy/helpful! Why We Liked It – If you are looking to push yourself to the max then this recumbent exercise bike should tick a lot of boxes for you. Sunny Health & Fitness have been putting out nothing but top quality products for quite a while now, their magnet recumbent exercise bike continues this trend. With large handlebars and dual position handle grips, you’ll find that there are multiple positions for you to place your hands as you train. The large seat and adjustable back cushion is a great touch that will no doubt help those with a bad back! This bike comes with built-in transportation wheels that allow you to take this bike pretty much anywhere! Why We Liked It – The fact that this bike is easily transportable makes it one of the best bikes to own in our list here for obvious reasons! When we think of relaxation, we personally think of this recumbent exercise bike in particular! Fitted with a blue backlit dual track LCD display, this Nautilus R616 Recumbent Bike is a bike that pushes you just a little further! The Bluetooth connectivity of the bike is a great touch, and the ability to charge your phone via the USB port only increases the value of this bike outright! This bike comes with 29 programs and 25 levels of resistance! Why We Liked It – We really enjoyed this recumbent exercise bike for the list of features it has streamlining throughout! The chambered speakers are a great touch! If you are slightly taller than the average bear, then this is the recumbent exercise bike for you! Not only is the bike seat here incredibly comfortable, but it’s pretty wide too which only provides more support as a result. 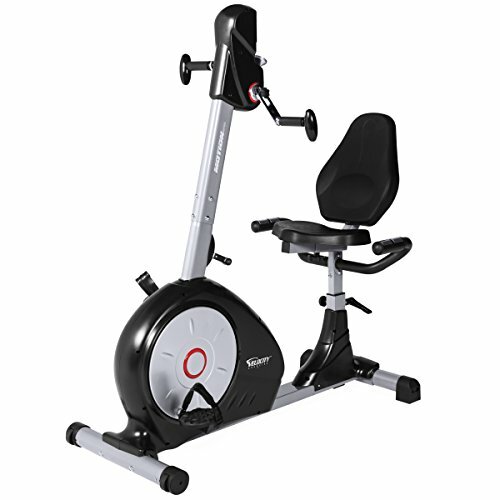 If you are someone who is actively looking for a challenge, you’ll find that and more with this bike from Exerpeutic. The eight level magnetic tension control system is one that allows you to customize your ride to your own specifications. The LCD display here is larger than most, dispelling information such as calories burned, time, speed and heart rate information. Why We Liked It – Make no mistake about it, this is a recumbent exercise bike perfect for taller individuals who want to workout stress-free! Schwinn returns at our seventh spot here, this time with their 230 recumbent bike, one that comes fitted with two tracking LCD window systems that allow you to monitor up to 13 different display feedbacks total! This bike comes with a goal tracking system that continually updates itself should you manage to beat a previous high score of some kind. The 230 comes with 22 programs and 2 user settings, not only that, but you also have 20 levels of resistance that actively work to push you even further! This bike also comes with a charging USB port and data exchange. Why We Liked It – Schwinn is one of the leading names in the world of recumbent exercise bikes because of products like this! Check it out! High capacity in anything usually equals something worth checking out, especially if it is a recumbent exercise bike! You’ll find that you can just jump on and off this Exerpeutic 1000 High Capacity Recumbent Bike, with countless speed options to choose from! One of the main benefits of owning this bike is that it comes with a heart rate monitor! 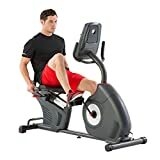 This is yet another 8 level magnetic tension bike, one that will no doubt support you in all the ways you expect from a piece of exercise equipment like this. The seat is incredibly comfortable too, which just elevates this bike instantly! Why We Liked It – This is a recumbent exercise bike that can generate a lot of power, making it quite resistant if that’s what you want. If the previous recumbent exercise bike on our list wasn’t powerful enough for you, then we think we have just the thing! The 2000 version of Exerpeutic’s high capacity recumbent bike is a definite upgrade from the precious iteration — keep in mind that this is a little bit more expensive though. The shock absorbing air chambers throughout this recumbent exercise bike is known to absorb a lot of the weight of the individual so that comfort is prioritized. With this bike, there are around 6 preset workout programs for you to choose from! Why We Liked It – If you happen to be quite a heavy person generally, you’ll find that this recumbent bike is incredibly accommodating! The last recumbent bike on our list is arguably one of the very best! 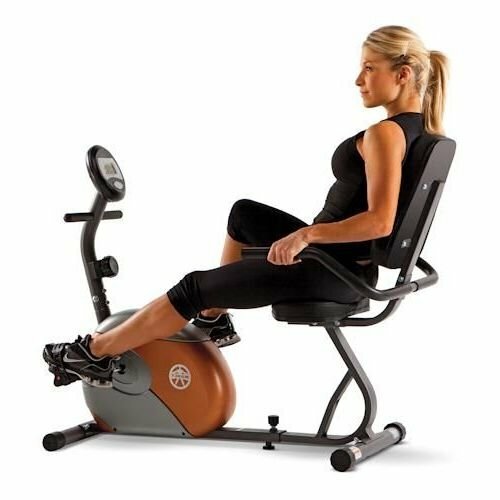 From Velocity, this dual motion recumbent exercise bike is known to be somewhat comfortable as well as consistent once in action! 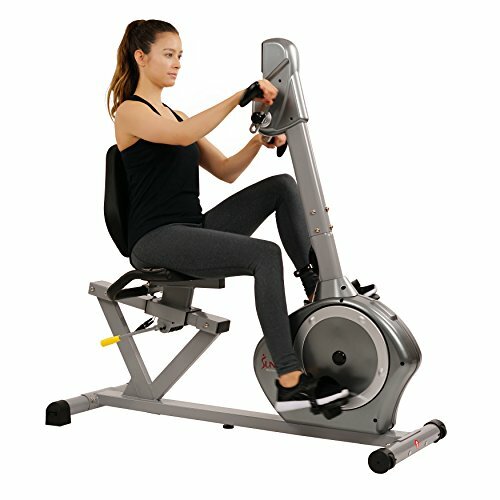 Available in multiple colors, this is a recumbent exercise bike that comes with 8 levels of tension control, making sure that every motion isn’t wasted. With handles found at both the front and sides of the bike, riders will find multiple positions to sit in when training. Reviews for this bike all state that this is a very comfortable bike, one that retains its comfort over time despite frequent exercise. Why We Liked It – This is our favorite recumbent exercise bike out of the bunch simply because of how durable it is; this is a product that will last many years! Welcome to the buyers guide section, a section where we will be going over some of the questions you might have as well as some additional bits of info that you should consider before purchasing a recumbent exercise bike of your own! The first piece of advice we can give you is to identify the reasons why you want to buy a recumbent exercise bike, to begin with. Making a short list of the reasons why you want to buy one of these bikes will not only allow you to outline things such as budget/requirements, but it will also identify a set of expectations. It goes without saying, but you should be looking to reach these expectations, and anything short of the mark should be considered something worth passing on. Recumbent exercise bikes can be pretty expensive, so finding the right one the first time will not only save you money but time also! How we made our list? Let’s begin with how we formed the list you see above to give you a better idea on what we were looking for. As avid users of these bikes in both the gym and at home, we are always telling our friends the benefits of owning a recumbent bike of your own! It was only natural that we would end up writing an article on this topic in the hope of inspiring others who were looking at an exercise machine with a seemingly endless list of benefits. Before we even began looking at products, we knew that we had to assemble a team, a team of individuals who shared the same passion for recumbent exercise bikes like us. Some of the people who helped with this article are friends of ours, others are experts within the field, the kind that is constantly reviewing these products for countless publications; it was important to strike a balance between the two so that we could meet in the middle once we began finalizing some of the products you see above. Once our team was assembled, we then set out on sourcing some of the best recumbent bikes around. We’ll be the first to admit that before this article, the only recumbent bikes we knew of were those at our local gym and a few other bikes that were recommended to us from friends. This article forced us out of our own comfort zone, and we think the article only benefitted from that given just how raw it is. Amazon and various catalogs were incredibly helpful in sourcing the best recumbent bikes around. User reviews on Amazon allowed us to find out what customers had to say about these machines once they actually tried them out properly! Having experts in our team was great for identifying places/products to start looking at also. In total, we had around 35 different recumbent exercise bikes that we thought would be relevant for an article like this. Most of the recumbent exercise bikes we had in our list at this point were relatively similar to some of the others listed at that time. Our next course of action was to sift through our list and remove any duplicates. We eliminated the bikes with the least amount of beneficial features here too. This was definitely the lengthiest part of this process for many reasons; we wanted to be thorough, making sure to spend enough time around each product to make sure it was/wasn’t a good fit. This brought our total number of recumbent exercise bikes down to around 14 recumbent bikes. The next phase was the most fun for us as we actually got to try out these recumbent exercise bikes for ourselves! Thankfully, we were able to test these products out without having to buy them as this would have cost far too much money! Each product was tested on a scale of our own design; each bike was assessed on the feel as well as the settings featured. Once we were finished running our tests, a rating was then applied. Multiple people tried each bike out for themselves, the team then met, and we compared our findings. We wanted to make sure that we were all on the same page when it came to picking our final 10. If we thought that a certain recumbent bike had issues or didn’t think it fit, we would be sure to say something and throw it to the rest of the group. Once our list was finalized, we tried to avoid swapping out bikes as we felt like we hit all the beats we wanted to hit when we were planning this article! Why should I buy a recumbent exercise bike? There’s plenty of reasons for owning a recumbent exercise bike of your own, the most obvious being to make you a lot healthier without the need to visit a gym or run outside. The benefits of these bikes allow the rider to lay back while they train, which is something that is incredibly beneficial to those with back issues or those wanting to increase the lumbar support found at the base of the spine. Not only are these bikes known to help your cardiovascular health, but they’ve also been known to fix posture and form when running/walking! Recumbent bikes have been designed to allow the rider to distribute their weight over a larger area better! The benefits of owning a recumbent exercise bike come via the ability to work out in the comfort of your own home as we’ve already mentioned! You’ll find that you can complete other tasks while on this bike too! For example, you can work from your laptop while exercising, or maybe watch a movie of some kind if you just want to relax as you train. Who would buy a recumbent bike? The answer to this question is obviously subjective. 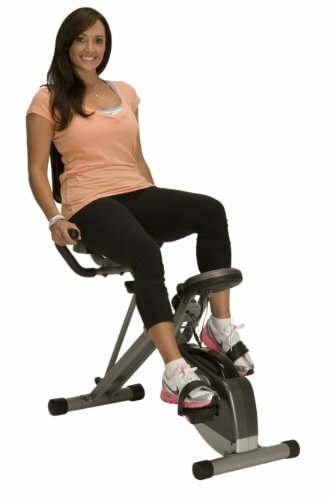 Anyone who suffers from back pains will find that these bikes allow you to work out as you usually would without the added pressure piled on top of your back. Studies have shown that leaning forward on a regular bike is really bad for your back, hence why one might want to buy a recumbent bike as it allows them to workout without having to worry that you’re making things worse; if anything you’re sorting yourself out for the greater good. Those older will find recumbent exercise bikes very helpful, especially if their lower lumbar support is in much need of help! 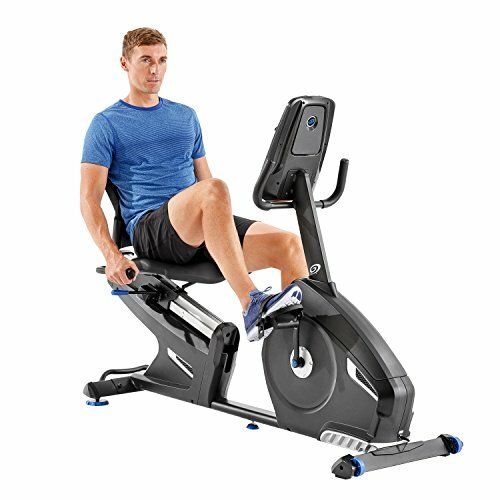 Cycling on this machine for a minimum of 20 minutes a day is said to be incredibly beneficial to the health of the individual. 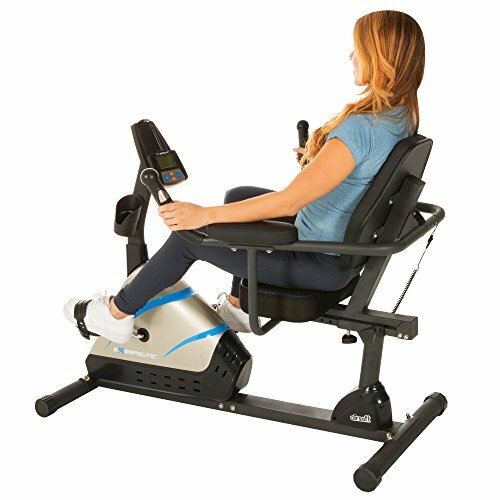 Anyone can sit on a recumbent bike and relax, it’s part of this products charm! Some athletes have actually gone on record and cited recumbent bikes as the reason behind their success as these bikes are a great change of pace from the regular demanding exercises that put pressure on their back! Try to ignore people who dub this bike: ‘the lazy man’s bike’ because we’ve just proven that it isn’t. Now don’t get us wrong, there are a lot of people out there who own these bikes do just sit on them and barely exercise, but we’d like to think that there are more people out there who want to get healthier and feel good about themselves. These products aren’t that cheap to be considered the lazy mans bike either; if you have the money to pay for this machine, we are going to assume that you use it. 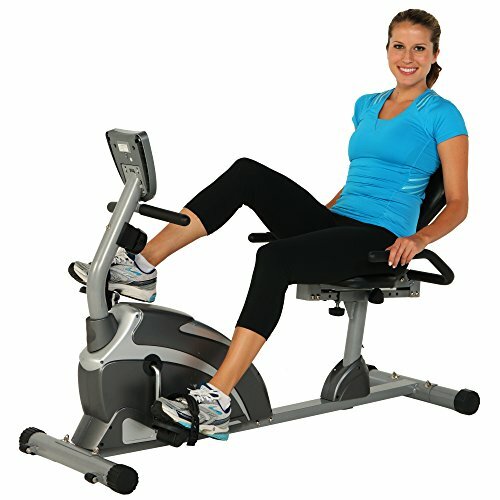 Recumbent exercise bikes are incredibly comfortable, it’s partly the reason why they are so popular right now. You wouldn’t be able to see the benefits to your back if you weren’t sitting comfortably. Keep in mind that the more you pay, the more comfortable your recumbent exercise bike will be. The goal of any recumbent exercise bike manufacturer is to make them feel as seamless as possible, with an emphasis on comfort (since you can just sit at home and cycle), something we believe they more than accomplish.